Medical Id Store knows its not only important to keep your loved ones safe, but also to make sure your pets are safe too in case of an emergency. Whether you own a dog, cat, reptiles, birds or whatever pet you love, have you often wondered if you were in an accident and could not get home to them to care for them what would happen? 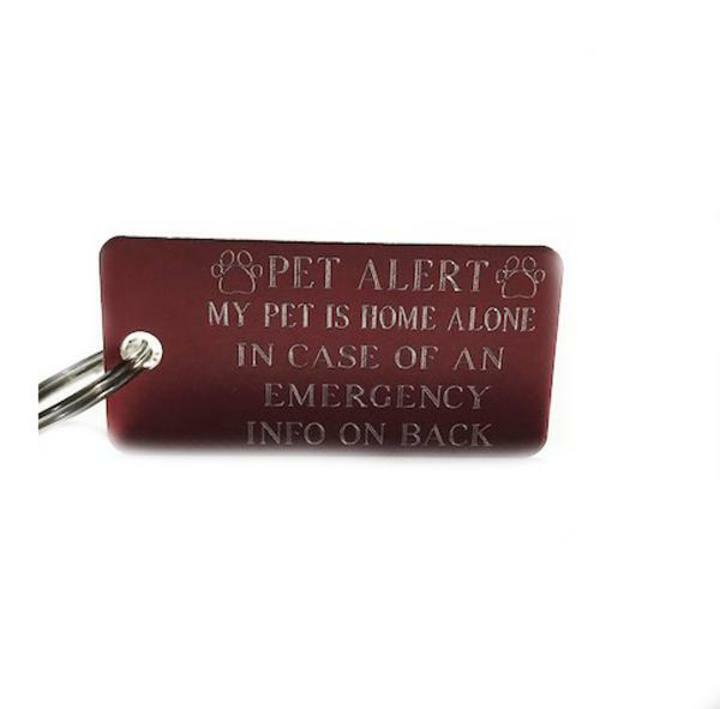 Well with out Pet alert Keychain Ket tag that is CUSTOM ENGRAVED with your information to alert medical emergency personell, police , etc that you have pets at home that need caring after. This wikk be custom engraved with your information on who to contact with 5 lines on the back!